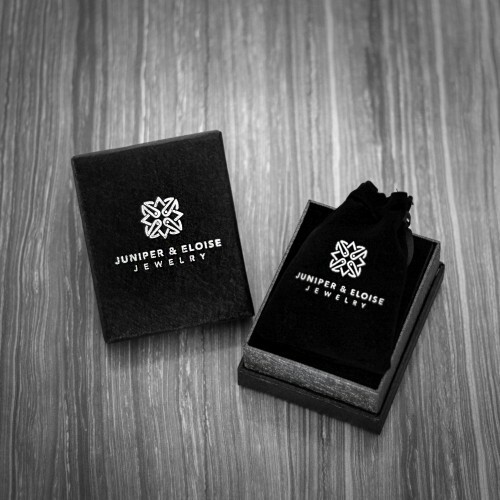 ★`His` bracelet is made with 6mm faceted Snowflake Obsidian beads and features Black Evil Eye embellished black Zircon stones. 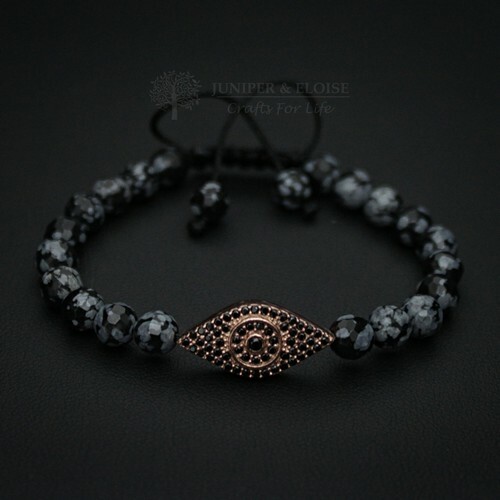 ★`Her` bracelet is made with 6mm Faceted Snowflake Obsidian beads and features Rose Gold Evil Eye embellished black Zircon stones. Handcrafted bracelet made with 8 mm matte faceted Onyx beads and features Rhodium plated 925 Silver ..
Handcrafted bracelet made with 8 mm faceted Onyx beads and features Rose Gold plated 925 Silver..
Handcrafted bracelet made with 8mm Matte Sodalite and Jasper beads and features Bronze Evil eye bead.. 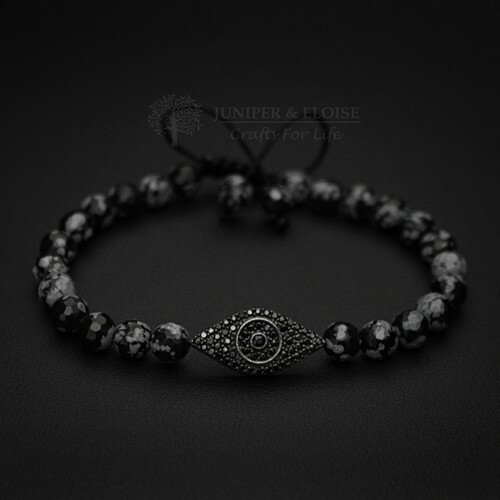 Evil eye bracelet made with 8mm gray Jasper beads, featuring Rhodium plated 925 Silver Evil eye and ..